(2009/Apple) 217 tracks, all 13 Studio albums plus the 'past Masters' incl. all titles from the singles and the EPs which weren't on the LPs! All recordings are digitally remastered and every album comes in a deluxe cover, with extended booklets and linernotes and rare photos. 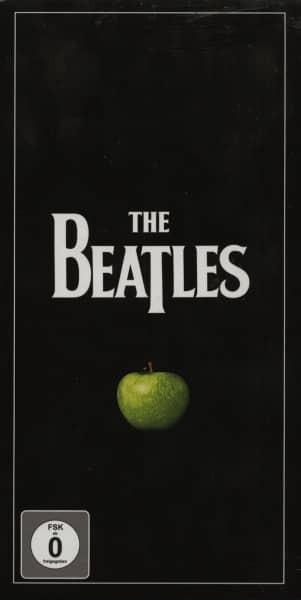 Also included is a DVD containing 13 mini-documentations about the 'making of' of every album with comments and interviews by the Beatles and their manager George Martin. All documentations are also available in the 'Quicktime' format on every Studio album CD! The length of the DVD is 49 minutes, NTSC, codefree, and with subtitles in English, French, Spanish, Italian, Portuguese and Dutch! Customer evaluation for "The Beatles - Stereo Box - Original Studio recordings"